Nobody can monitor every screen at all times. Therefore, the system monitors it for you. 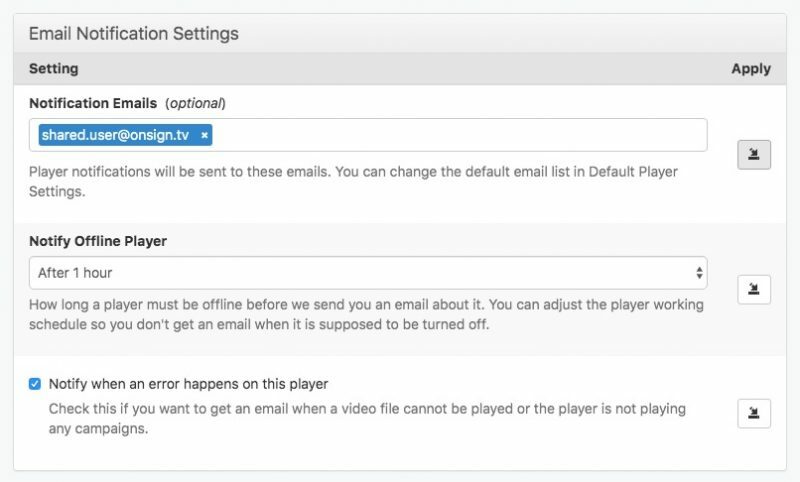 The email notification feature notifies you in case of a player error. In the menu you find the section "Default Player Settings". Click on it. When you scroll down, you'll reach the "Email Notification Settings". Add the email you want the notification to be sent to. You may set several emails. Make sure the box "Notify when an error happens on this player" is checked. Then click on the Apply icon. This opens a pop-up window where you can decide for which players the notifications shall be sent. 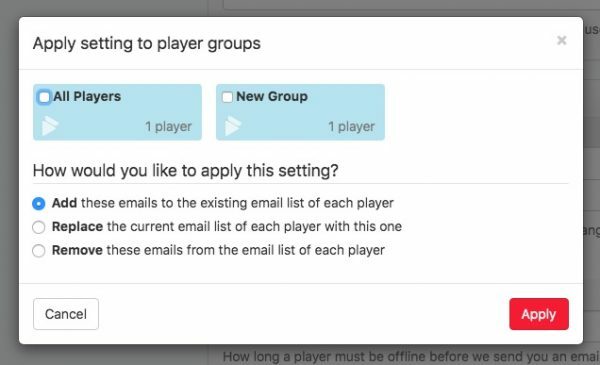 Click on the line "Add these emails to the existing email list of each player. This is the same way you would proceed to unsubscribe an email from player error notification. A pop-up window will tell you that your settings were applied. Click "OK" and leave the Player Default Settings by confirming with "Save Settings" on the very right-bottom of the page.